Duncan joined Castle Craig as a Senior Staff Nurse in September 2017. He qualified as an enrolled nurse back in 1989 while working with the Scottish Prison service, where he was awarded the Butler Trust UK Award for his work with vulnerable inmates including addictions. He later became involved in the first addiction services within the Scottish Prisons and helped introduce courses on reasoning and rehabilitation. 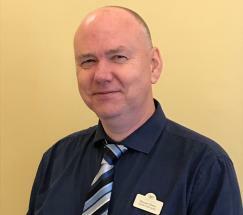 In 1999 he attended the University of Dundee to gain his certificate as a Registered General Nurse and in 2004 he moved into the social care management and gained his qualifications in Health and Social Care. He has managed services for young people, learning disabilities and elderly nursing. Laterally he worked as a peripatetic manager supporting care homes over the Lothian and Fife regions.